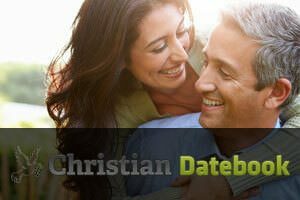 If you are a Christian person active on online dating websites, sooner or later you’ll probably wonder what kind of date would be appropriate when you’re meeting someone for the first time. Online dating often comes with certain not-so-Christian activities, such as drinking, and you probably want to avoid that. However, the typical date nowadays consists precisely of that – a few cocktails before a dinner or a movie. Not to mention that the old dinner-and-a-movie routine is getting really stale. So, what kind of faith-friendly date could you organize? Fortunately, there is plenty of things you can do with your date that will allow you to have a good time, get to know them a little better and share some quality time together, while remaining truthful to yourself and your faith. How about a hike for your Christian date? If you and your date are both into outdoor activities, this could be a perfect first or second date, regardless of the season, because God’s mighty creation that we call nature is equally impressive under the hot summer sun or sparkling winter snow. Pick a nice trail in your area, prepare a little picnic basket and some hiking essentials and you’re all set. Nature is a terrific conversation starter and the perfect scenery for a great romantic date. Similarly, star-gazing or simply watching the sun set over your city skyline or into the sea also make terrific date ideas. Taking time to reflect on the Lord’s amazing gifts like these is a tremendous way for two people to bond. Volunteering and doing charity work is something that every Christian should take part in, and this is a perfect solution for your Christian dating. It’s in the heart of the Christian faith, but have you ever thought of combining charity with dating? Think about it, it actually makes perfect sense. You and your date can spend some real quality time together helping those in need. There is plenty of opportunities for charity work in every area, so finding one shouldn’t be difficult. If you’re already involved in volunteering or charity, you can ask your date whether he or she would like to join in. Plus, it’ll make a great test of your potential partner’s true heart and faith. If they say no to such an idea, they’re probably not good for you anyway. Also, let’s not forget that church is not just a place we go for Sunday service. It’s also a community hub, a place where people meet, spend time together, talk and take part in various activities. If your church organizes events such as potlucks, concerts, bingo, caroling and such, why not invite your date to join in? It’s a cool first date idea because you won’t be alone and you’ll probably be more relaxed. 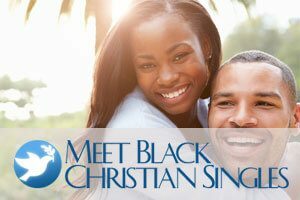 If you have a friend or relative’s wedding coming up, how about inviting a person you met through Christian online dating as your plus one? It’s certainly better than going alone, and there are several other upsides as well. For instance, you’ll definitely dress up and your date will get to see you at your best. But more importantly, a wedding will give you a chance to see where your date stands on important issues such as commitment, marriage, and children. Maybe don’t discuss these topics on your first Christian date. These topics come up much more naturally in a setting such as a wedding, compared to a “classic” date. Bowling, horseback riding, rock climbing, karaoke, visiting a zoo or aquarium or going to an amusement park all make great first or second dates. These activities give you a chance to get to know your date without that slight pressure or tension many people feel on a face-to-face date such as dinner or drinks. Plus, you’ll be having fun and, after all, isn’t that what dating is all about? As you can see, there are plenty of things you can do on a date that are both fun and fate-friendly. Forget the plain ol’ dinner-and-a-movie routine and give one of these ideas a shot!